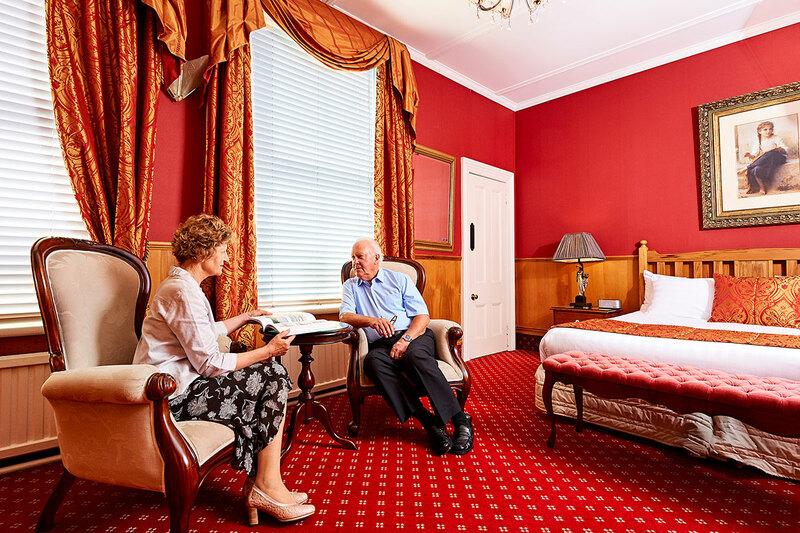 Whatever the reason for your stay, we would be delighted to welcome you to Prince’s Gate Hotel. 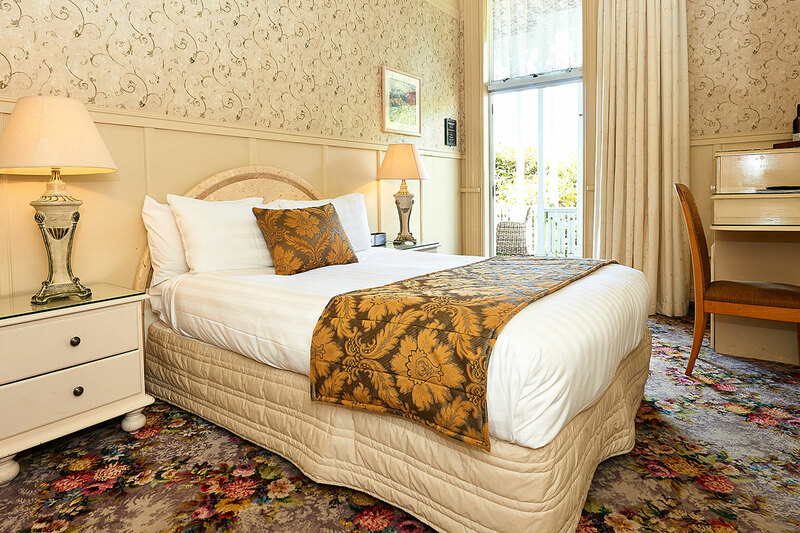 Whether you’re looking for a single guest room or a little bit of luxury in one of our spacious suites, all of our 50 bedrooms and suites at the Prince’s Gate Hotel Rotorua are designed to offer a luxuriously comfortable night’s sleep. We have accommodation to suit family groups, your guests for a wedding or event, couples and groups of friends enjoying a getaway break. 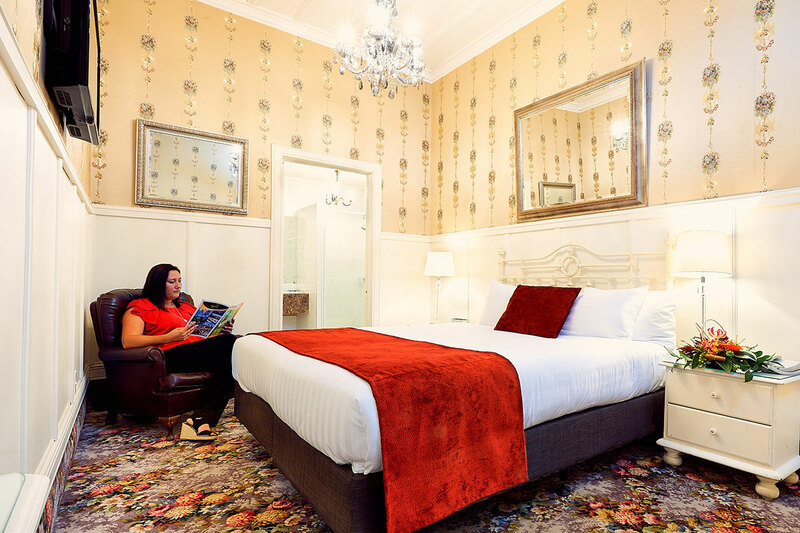 Looking for a room with elegance and charm? Our stunning suites are the perfect setting for a romantic getaway. 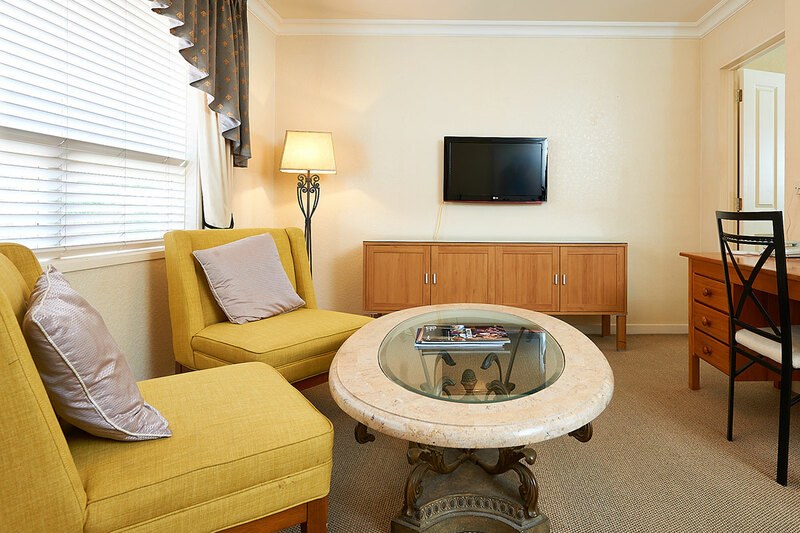 Each room has an ensuite bathroom with a traditional selection of toiletries, a mini bar, refrigerator, tea and coffee making facilities and Sky television on a flat screen, luxurious bathrobes, iron and ironing board, telephone and Wi-Fi. All guests have access to the three thermally heated pools, a private hot pool and sauna. Guest laundry facilities are also available. It should be noted that we do not have an elevator and although our staff are happy to assist with bags, please request a lower floor room if stairs are a challenge for you. Opulent, elegant and perfect for a romantic getaway. 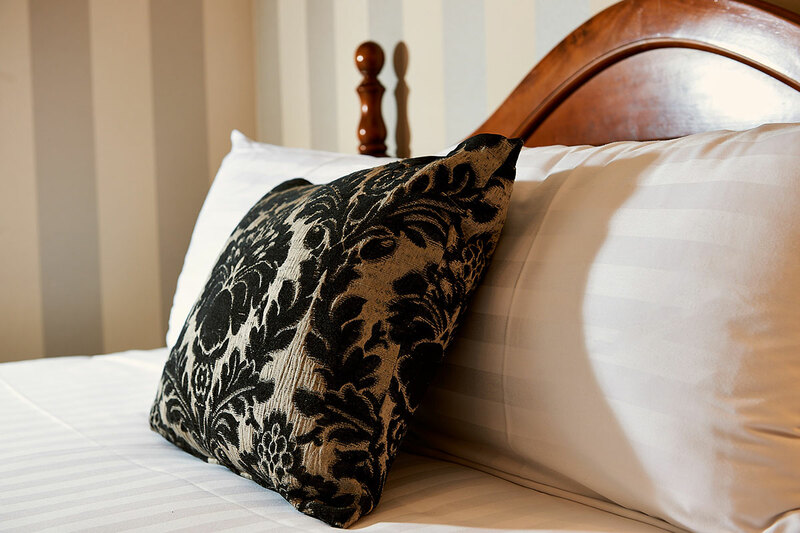 Sumptuous furnishings and beautiful king bedrooms. Cosy and ideal for two people. 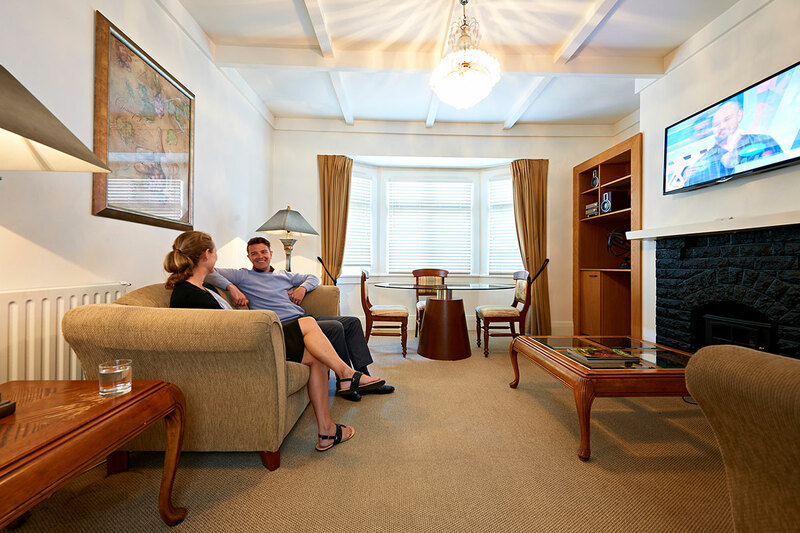 Enhance your stay with your own living area and kitchenette. The ideal choice for honeymooners and wedding parties. A beautifully comfortable bed for a restful night’s sleep. Enjoy a weekend away with your family or friends. 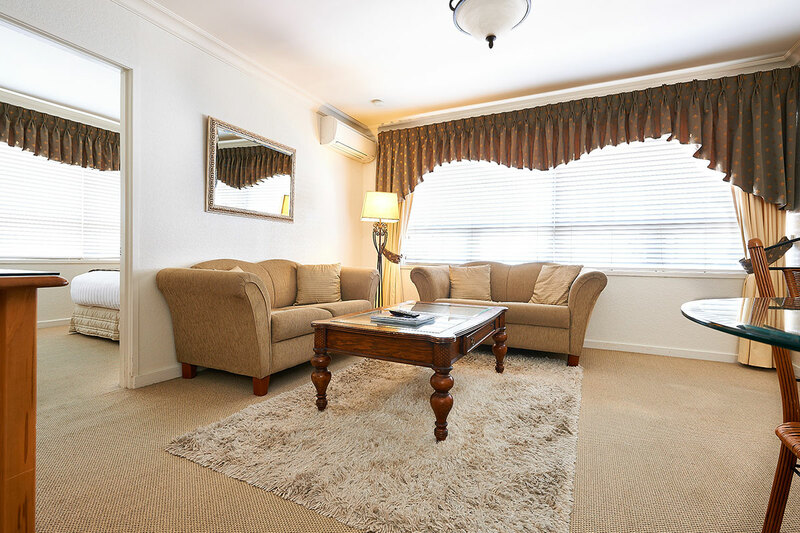 For more information about accommodation options to suit you, please contact us. We will be more than happy to assist you.